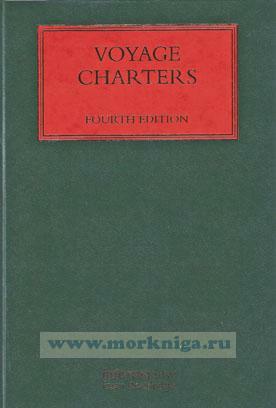 Widely regarded as the leading authority on voyage charters, this book is the most comprehensive and intellectually-rigorous analysis of the area, is regularly cited in court and by arbitrators, and is the go-to guide for drafting and disputing charterparty contracts. Voyage Charters provides the reader with a clause-by-clause analysis of the two major charterparty forms: the Gencon standard charterparty contract and the Asbatankvoy form. It also delivers thorough treatment of COGSA and the Hague and Hague-Visby Rules, a comparative analysis of English and United States law, and a detailed section on arbitration awards. This book is an indispensable, practical guide for both contentious and non-contentious shipping law practitioners, and postgraduate students studying this area of law.